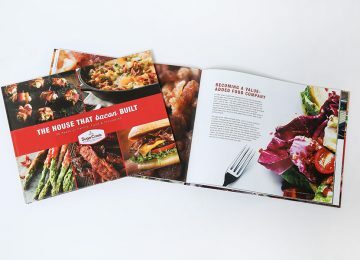 A 50th company anniversary book, corporate history book, and story marketing book that captures the story of family entrepreneurship and innovation in the U.S. foodservice industry that is SugarCreek. As SugarCreek was approaching its 50th anniversary, we were looking for a marketing piece to showcase our company, its rich family history and the evolution of our product portfolio. The HBS team delivered. We were very impressed with Dr. Frisse’s ability to tell our entire story and convey our core values. The design of the anniversary book is on brand and exactly what we had hoped for. We used the The House that Bacon Built as a gift for vendors and suppliers during the grand opening of our sixth facility as well as a promotional piece for media outlets. It continues to act as a great tool for attracting customers. 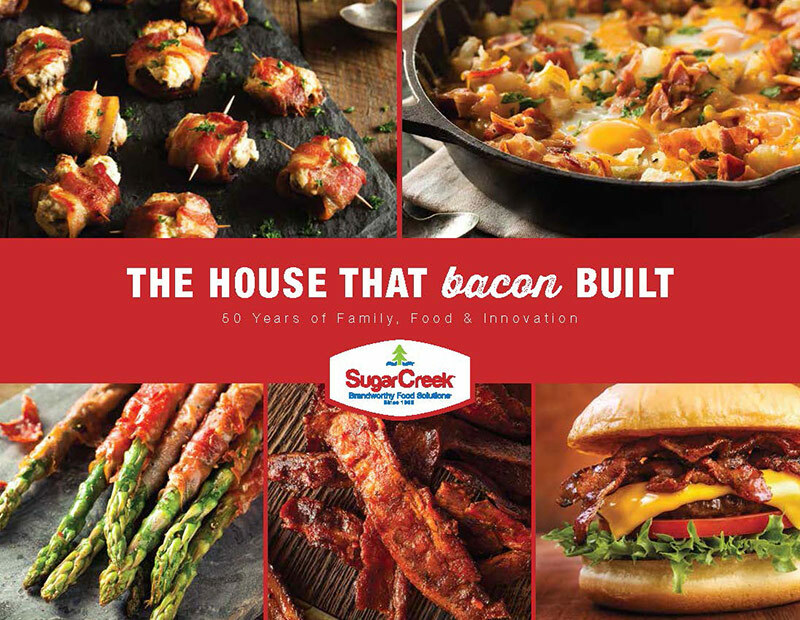 In 1966, John S. Richardson founded SugarCreek in Washington Court House, Ohio and began producing bacon for grocery retailers out of a 10,000 square foot concrete block facility. Five years later, his son John G. joined the company full-time and by the time leadership transitioned into the second generation in 1990, SugarCreek had grown to multiple locations, 800 employees and was close to $50 million in sales. The story of SugarCreek is a story of value-based family entrepreneurship, that today is shaped by a second-generation visionary leader who has turned the company into a highly innovative, diversified and flexible food manufacturer. 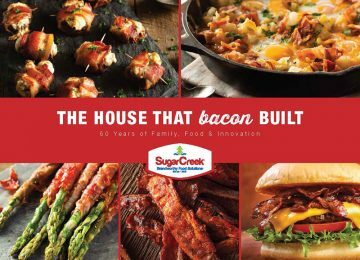 With 1,900 employees, and members of the third generation involved in leadership roles as well, SugarCreek today is the largest independent bacon producer in the United States and set up to lead the industry in sous vide cooking of a great variety of proteins. 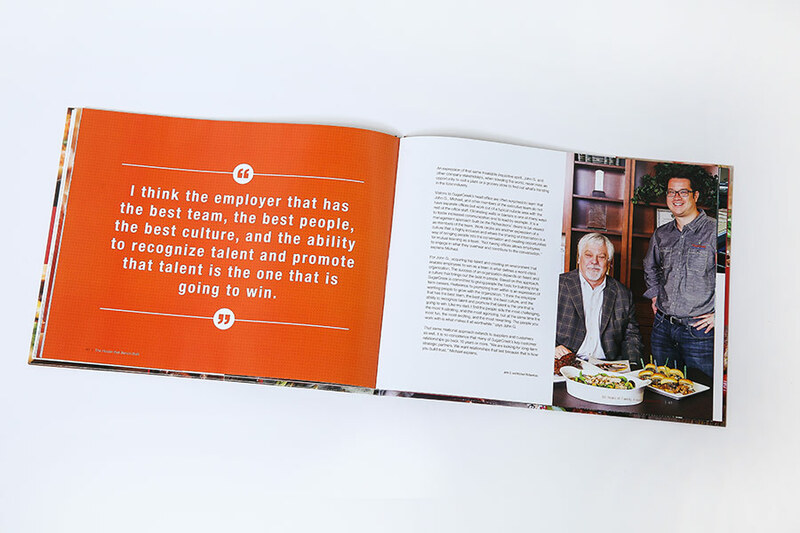 The SugarCreek team commissioned us to produce a high impact corporate history book, legacy book, and company anniversary book that zoomed in on key people, events and developments in the evolution of SugarCreek over the course of 50 years. Branding was highly important to the client who intended to use the book both to mark the milestone anniversary and as a marketing tool. Only a limited number of long-time employees and some key family members were to be included in the interview process. To meet the project’s tight timelines and to accommodate the SugarCreek executives’ busy schedules, we conducted all interviews exclusively by video conference and over the phone. 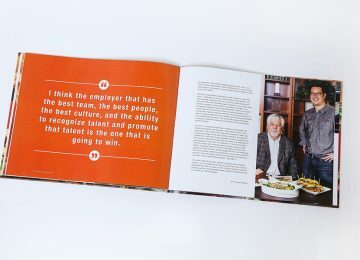 Within the condensed nature of this corporate history book and company anniversary book, we created a chapter structure that allowed us to tell the story in its broader context of family entrepreneurship, core values, the SugarCreek philosophy and culture, food safety, market leadership, as well as larger events like 9/11 that impacted SugarCreek and the entire food industry. To convey the dynamic character of the company’s story, the narrative ends with an outlook into the future. In applying a fully customized story marketing design approach, Lesley Warren and the LWDG design team reinforced the SugarCreek brand colours throughout the book and created high impact pages using large pullout quotes, cutting-edge food photography, as well as working with multiple image overlays. The outcome is a short, easy to read, and engaging corporate history book and company anniversary book that tells the Sugarcreek story as much through the selected images as through the narrative.